This is the Eve of St Berrihert. If that doesn’t mean anything to you (and it didn’t to me), take a read of this blog post. I am embarrassed to say I had not heard of this place until about ten minutes ago, and I live about thirty minutes drive away. The 18th of February is the feast day of St Berrihert/Berrahert of the parish of Ardane, Co Tipperary. An Anglo-Saxon saint, he is traditionally believed to have come to Ireland in the seventh century following the Synod of Whitby. 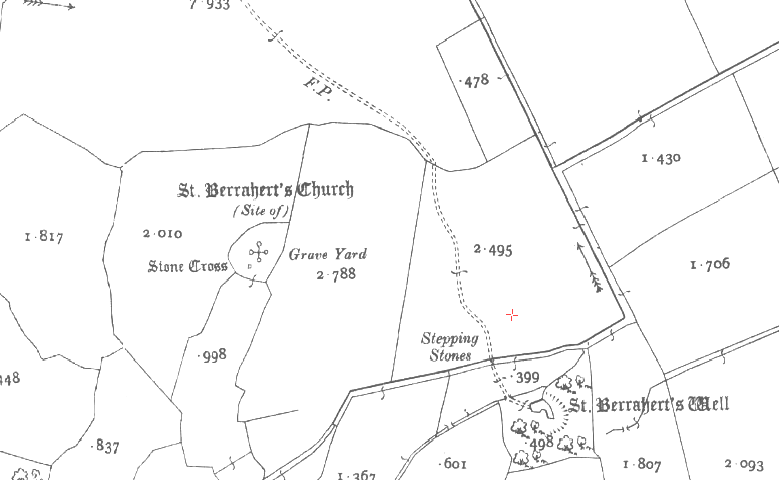 To mark the saint’s feast this two-part blog post will explore the archaeological remains and the evidence pilgrimage at a site associated with the site, known as St Berrihert’s Kyle in Co Tipperary. St Berrihert’s Kyle is one of Tipperary’s best hidden treasure. The site is located in the townland of Ardane, in the parish of Templeneiry. It is difficult to find as there is no signposting. It is located close to the village of Ardane.